BISMARCK, N.D. -- A federal judge declined Tuesday to temporarily stop construction of the final section of the disputed Dakota Access oil pipeline, clearing the way for oil to flow as soon as next week. The Standing Rock and Cheyenne River Sioux had asked U.S. District Judge James Boasberg in Washington to direct the Army Corps of Engineers to withdraw permission for Texas-based developer Energy Transfer Partners to lay pipe under Lake Oahe in North Dakota. 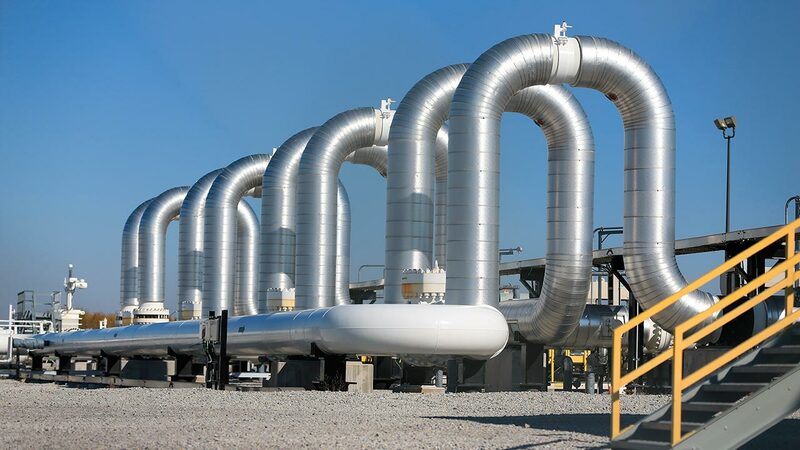 The stretch under the Missouri River reservoir in southern North Dakota is the last piece of construction for the $3.8 billion pipeline to move North Dakota oil to Illinois. When they filed the lawsuit last summer, the tribes argued that the pipeline threatens Native American cultural sites and their water supply. Their religion argument was new, however, and disputed by both the Corps and ETP. In February, Boasberg declined the tribes' request to order an immediate halt to the pipeline construction, ruling that as long as oil wasn't flowing through the pipeline, there was no imminent harm to the tribes. Tribal attorney Nicole Ducheneaux countered in court documents that the mere existence of an oil pipeline under the reservoir the tribes consider to be "sacred waters" violated their right to practice their religion. The court battle isn't over, as no final decision has been made on the merits of the tribes' overall claims. Both tribes also have asked Boasberg to overturn the federal permission for the Lake Oahe crossing and to bar the Corps from granting permission in the future. The judge won't rule until at least April. The pipeline saga has endured for months. Hundreds and sometimes thousands of pipeline opponents who sided with tribal opposition to the pipeline camped on federal land near the drill site for months, often clashing with police. There have been about 750 arrests in the region since August. Authorities last month closed the camp in advance of spring flooding season and set up roadblocks to prevent protesters from returning. Work under Lake Oahe had been held up in the courts until President Donald Trump last month instructed the Corps to advance construction. The Army is involved because its engineering branch manages the river and its system of hydroelectric dams, which is owned by the federal government. ETP began drilling under the lake Feb. 8. Company attorney William Scherman said in court documents that the pipeline could be moving oil as early as next week.